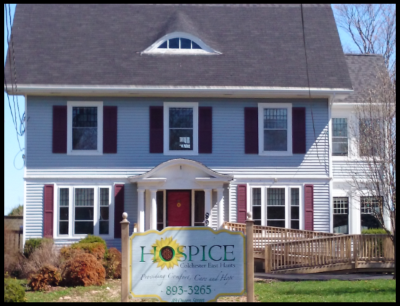 Truro, NS – The Colchester East Hants Hospice Society will hold a Grand Opening event at 89 Queen Street, Truro on Wednesday June 18th, from 3:00-7:00pm. An official welcome will take place from 3:30-3:45pm, with house tours and refreshments continuing until 7:00pm. All are welcome, and those wishing to attend are encouraged to RSVP by calling 902-893-3265 – or – by emailing info@cehhospice.org. The Colchester East Hants Hospice moved into the new Hospice Centre in September of 2013. CEHHS, founded in 2002, was established to support Colchester Regional Hospital ‘s Palliative Care Program with a community presence. “The need for our services only continues to grow. The new Hospice Centre offers a comfortable and inviting place to help meet those needs,” says CEHHS Executive Director, Janet Whelan. The Grand Opening on June 18th will be an occasion to celebrate the new location, and the special individuals who made the centre possible through their generous bequests. Joanne Venner, a long standing community member known for her leadership and generosity with groups such as the Newcomers Club, donated her house to Hospice in 2011. Nelly Traxler-Boome, sister to Bill Boome, residents of Truro, donated half of her estate in memory of her mother, Marta Bumova, in 2010. The Grand Opening of the Hospice Centre will pay special homage to the generosity of these individuals. “Our new Hospice Centre reflects this type of commitment to the community, ensuring Hospice-Palliative Care support is there for those who need it,” added Whelan. In addition to getting a glimpse inside the new Hospice Centre, visitors will also have an opportunity to view the construction of the new Venner Memorial Garden. The installation of the garden is slated to begin on June 10th, and is expected to be completed by July. A special announcement detailing the garden’s purpose, and how it came to be, will follow the Grand Opening in late June.